It’s my great pleasure to join you at the 2019 Penn Wharton China Summit. I want to warmly congratulate on Wharton School and its outstanding students for putting this meaningful event together, and building such an influential and branded platform for communication, understanding and connection between China and the United States. The theme of this year’s summit is “Paving the Global Road”. It reminds me of my road to reach the outside world in the 1980s, when I was about the same age as the students here. At that time, China was a poor and underdeveloped country. I lived in a remote town in Guizhou, a south-western inland province with many mountains and very limited choice of transportation to reach the big cities. Every time I went to my university in Shanghai from hometown, it took me 36 hours by train. It was really a long and crowded trip. Sometimes I could only get standing-room ticket. When a seat was available for me finally, I could barely feel my legs and bend my knees. But I managed to overcome all these difficulties, because I knew if I wanted to change my life, I need to see the outside world. The road was not easy, but it was a road to knowledge, education and a global vision. 40 years later, when I stand here telling you my story, vast transformations have taken place across China. Long gone are the days of 36-hour standing travel. Now I can take a high-speed train from Guizhou to Shanghai within 9 hours. The total length of high-speed railways in China has topped 30,000 kilometers. They are expected to transport 3.5 billion passengers and 3.3 billion tons of goods this year. Meanwhile, 4 million kilometers roads have been built in the rural parts of China. With the development of transportation, the local economy has been boosted, and the balance in development between rural and urban areas, coastal and inland regions has continuously improved. The point I want to make today is very simple: Road is important. “If you want to make money, first build the road.” This is a well-known Chinese saying. It’s also one of our most important experience. As China builds up more roads for itself, it’s also working with other countries to build more connections across the globe. In 2013, Chinese President Xi Jinping proposed the Belt and Road Initiative, or BRI in short. I want to take this opportunity to talk a bit more about paving this global road, and share with you the latest development of BRI construction. 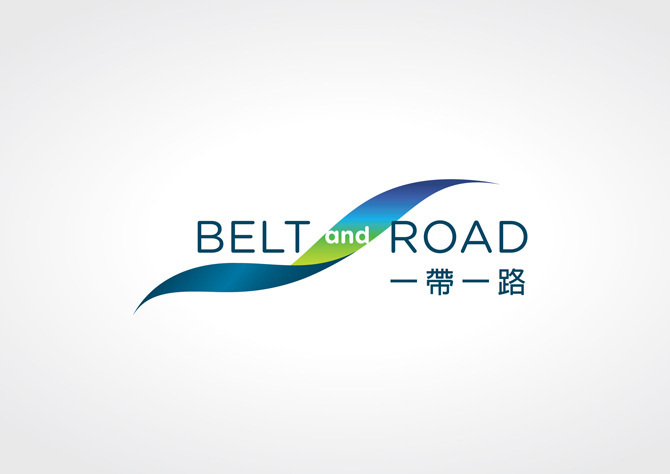 The full name for BRI is the Silk Road Economic Belt and the 21st Century Maritime Silk Road. Based on the idea of the ancient Silk Road, it has a broader vision in promoting not only trade, but connectivity in policy, infrastructure, finance and people-to-people ties. To put it simply, the BRI is to pave both visible roads and invisible roads among countries, and by doing so, to enhance global coordination and cooperation. You may ask what China stands to gain through the BRI? Some people say it’s China’s geopolitical plot, the 21st century “Marshall Plan”. Some say it’s China’s latest effort to form a country bloc, hedging against America’s Indian-Pacific Strategy. Some take it as a debt trap, in which China imposes discriminatory trade terms on others. Such views are less than objective or balanced. They are simply a misunderstanding, misrepresentation and even biased view of the BRI. In fact, the BRI is not about Trap, Tip, or Tactics. It’s actually about opening-up, shared growth and joint cooperation. The BRI is an important part of China’s opening-up effort. 40 years into the opening-up policy, China has now become the second largest economy in the world. 400 million people have joined the middle income group, and in the next 20 years, 200 million people will flow into urban areas. However, China is still confronted with inadequate and unbalanced development. The less developed central and western regions, with 72 percent of China’s landmass and 27 percent of its total population, account for only 20 percent of the total GDP, and 7 percent of foreign trade and outbound investment. Therefore, China needs to further open up its central and western region, giving more play to its resources and economic potential. With the BRI, China is building a New Eurasian Land Bridge and five economic corridors to Bangladesh, India, Myanmar, Pakistan and other Asian countries. As a result, China’s central and western provinces will enjoy closer ties to the regional and global market, and become more out-bound and internationalized. The BRI champions shared development, instead of zero-sum game. The Marshall Plan was born in the Cold War era. Part of this Plan was to support the Western Europe against the Soviet Union. However, the BRI was born in the 21st century, where the bi-polar system no longer exists, and the world is embracing multilateralism, free trade, and great power responsibilities. We cannot have security of just one or some countries while leaving the rest insecure, still less should we seek the so called “absolute security” at the expense of security of other countries. In line with this thought, the BRI has no intention to target or hedge against any certain country. Instead, the goal is to make the cake bigger for everyone. The BRI is the world’s symphony, not China’s solo. Guided by the principle of consultation and cooperation for shared benefits, the BRI is never predominated by one or some countries. Decisions made under the BRI framework, whether project selection or investment cooperation, are all based on full consultation among the parties and on the basis of due risk assessment and feasibility study. China and other 27 countries have jointly adopted the Guiding Principles on Financing the Development of the Belt and Road, which highlights the need to ensure debt sustainability in project financing. In case our cooperation partners face difficulties in servicing debts, China will properly address this issue through friendly consultation, and will never press them for debt payment. As a matter of fact, no country has gotten trapped in a debt crisis since its participation in the BRI. On the contrary, through participating in BRI cooperation，many countries have gotten out of the trap of “no development”. After explaining the purpose of the BRI, you may ask what actually have been built under this initiative? As I mentioned before, the BRI has been paving two kinds of roads, visible and invisible. So let me introduce the BRI achievements out of these two categories. As for visible roads, the achievement is quite obvious. Countries in Asia, Europe, Africa or even Latin America have been greatly benefited from the international connectivity boosted by the BRI. Kazakhstan, the world’s largest landlocked country, has gained access to the Pacific Ocean through the Lianyungang port in China. Since it was leased to a Chinese company, the Piraeus port in Greece has become one of the fastest growing container ports in the world. The Balkan country Montenegro built its first super highway through BRI cooperation, and the Indian Ocean country Maldives owned its first bridge as a BRI programme. Chili’s cherries, together with other tasteful fruits in South America, have seen 20 times boost in their export to China, and have been warmly welcomed by the Chinese consumers. Let’s take a look at Africa. Over the past five years, many projects have been completed or launched under the BRI framework. Three major railways, namely the Ethiopia-Djibouti railway, Mombasa-Nairobi railway, and Abuja-Kaduna railway, are now in full operation. Hydropower station in Cote d’Ivoire, gas plant in Tanzania, and sports stadium in the Republic of Congo have been improving the local energy supply and the people’s life every day. These achievements did not come easily. Chinese and African workers have overcome high temperature, terrorism and many other risks in paving these global roads. But all of us believe it is worth taking the challenges, because Africa now has got 20,000 megawatt electric energy, 85 million tonnes of port handling capacity, and 900,000 jobs. 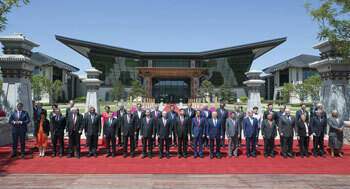 Last year, the Forum on China-Africa Cooperation was convened in Beijing. Both China and Africa renewed their strong commitment to the BRI and China announced eight major initiatives in collaboration with Africa, including industrial promotion, infrastructure connectivity, trade facilitation, green development, capacity building, healthcare, people-to-people exchange, and peace and security. China will continue to carry on BRI with Africa, and work for more high quality projects in the future. The invisible roads built by BRI, which have more to do with policy coordination and people-to-people exchanges, are more promising and remarkable. We are happy to see growing complementation between the BRI and development plans and policies of various parties. At the global level, the BRI is well aligned with the UN 2030 Agenda for Sustainable Development, thus forming a synergy of policies to promote global development. At the regional level, the BRI connects regional development plans and cooperation initiatives such as the Master Plan on ASEAN Connectivity, Agenda 2063 of the African Union, the Eurasian Economic Union and the Europe-Asia Connectivity Strategy of the European Union, thus creating a synergy for improving connectivity and supporting economic integration among regions in the world. In terms of people-to-people ties, parties of the BRI have been very active in promoting tourism, cultural exchange, oversea studies, sister city relations, and many other kinds of communication. The whole picture should be very big and complicated, which requires years of systematic track and study. But from China’s perspective, we do have some statistics to share. It’s estimated that from 2016 to 2020, 150 million Chinese will visit parties of the BRI, generating consumption of 200 billion US dollars. In return, foreign travelers from relevant countries to China will top 85 million, bringing 110 billion dollars consumption. There have been 2300 sister city relations between Chinese sub-national governments and their counterparts across the globe. Over 1000 joint education programs have been set up overseas. These are not just numbers. They mean that ordinary people, like you and me, are communicating along this global road. The BRI is connecting different societies and civilizations, and bringing more mutual learning and understanding. 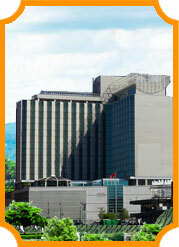 Through six years of hard work, the BRI has laid its groundwork and entered into the stage of high quality growth. So far, a total of 125 countries and 29 international organizations have signed BRI cooperation documents with China. Later this month, the second Belt and Road Forum for International Cooperation will be held in Beijing. Yesterday, China’s State Councilor and Foreign Minister Wang Yi announced that 37 foreign heads of state and government will join 5000 delegates from 150 countries and 90 international organizations in this forum. France, Germany, Great Britain, Spain, Japan, South Korea and EU will send senior representatives on behalf of their leaders. Diplomats from the US embassy, leaders of some states and American enterprises will also participate in this event. China welcomes all participants, and looks forward to a full exchange of views on future BRI cooperation plans. As an important partner of China, the United States has all reasons to join the BRI, and make the best out of this initiative. It is the right time for US to ride on tides of the global economy, when a vast of developing countries have entered into accelerated industrialization. It is also a good opportunity to share knowledge, standards, and demonstrate real leadership. The BRI enjoys great potential for being a new spot light in China-US cooperation, and bringing new momentum to the growth of our bilateral relations. As America’s next generation of leaders in business and government, you have a great role to play in paving the global road and encouraging your people to seize the opportunities presented by the BRI. On that note, I hope you can learn more about China and its global efforts from the enlightening views on this summit and I wish the summit a complete success.